My relationship with Radio Shack goes back more than 50 years, when the company opened a store on Shelbyville Road near my home in Louisville, Kentucky. 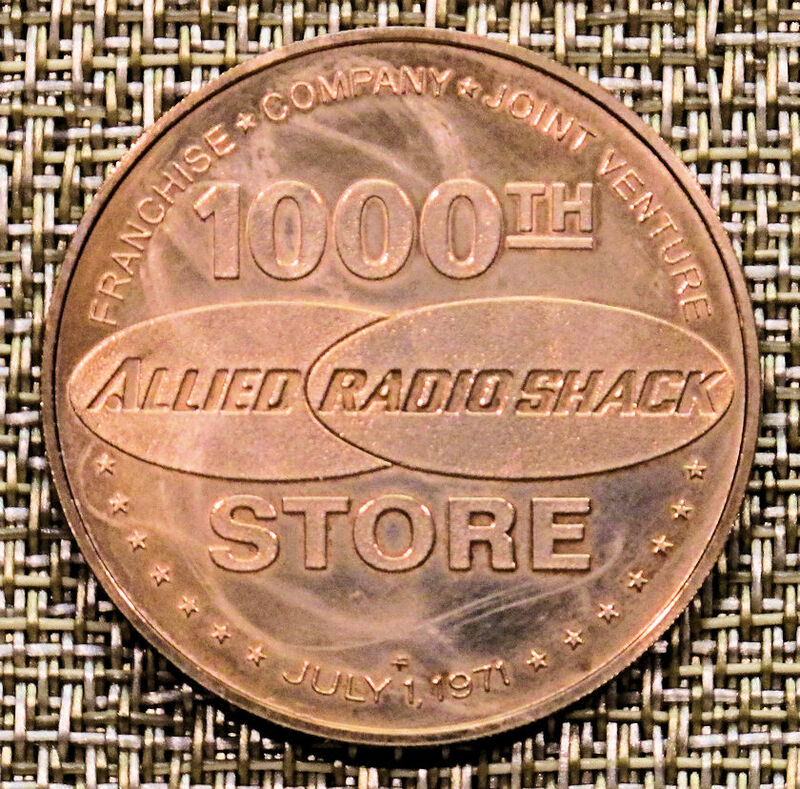 Heck, I even worked in a suburban Radio Shack as a freelance repair person for a summer during my college days, and I’ve still got the 50th anniversary Radio Shack commemorative coin celebrating the opening of the company’s 1000th store, which I won in 1971. So I have been truly saddened to see the company decline into bankruptcy, not once but twice, in recent years. The net result of the corporate-level turmoil at Radio Shack is the disappearance of thousands of company stores worldwide, including every single Radio Shack in Silicon Valley. I went to the Radio Shack online map and searched. Within a 50 mile radius, every single Radio Shack store was gone. 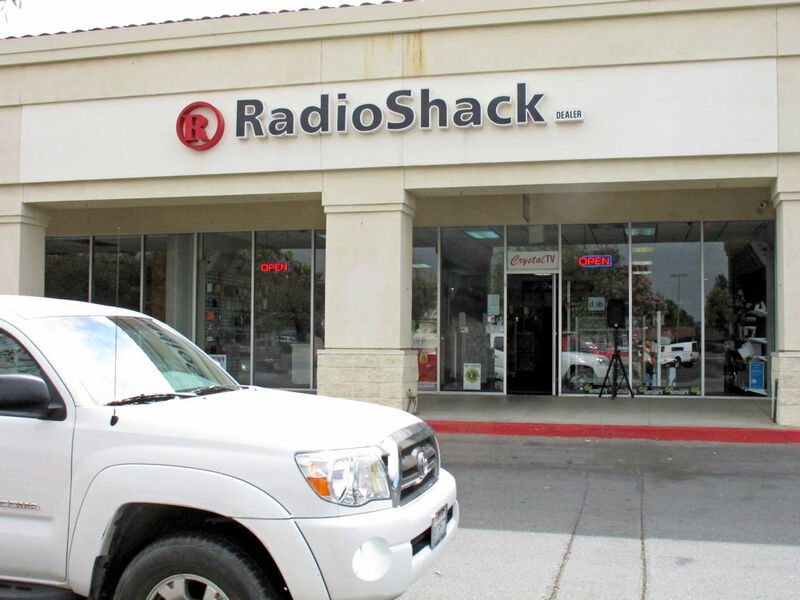 There’s a still a Radio Shack in Hollister, California. And just where the heck is Hollister? (Many people have asked me this question as I’ve researched this article.) Hollister is 47.4 miles south of downtown San Jose, so it’s just within that 50-mile radius. Hollister is even south of Gilroy, the self-proclaimed garlic capitol of the world. You’ll find Hollister nestled in the middle of a lot of agriculture, looking sort of like a Silicon Valley from 50 years ago, just before the fruit orchards were bulldozed, forever transforming The Valley of Heart’s Delight into the Valley of Silicon. Hollister is already a Silicon Valley bedroom community, so its transformation may not be all that far in the future. On a recent overcast Friday in the early Fall, my wife and I took a field trip and traveled to Hollister to see the last Radio Shack in (or more accurately near) Silicon Valley. When we walked in, we met Ramon and Claudia. Ramon was stocking parts on the wall and Claudia was behind the register. Both employees knew a lot about the store’s origins and history. 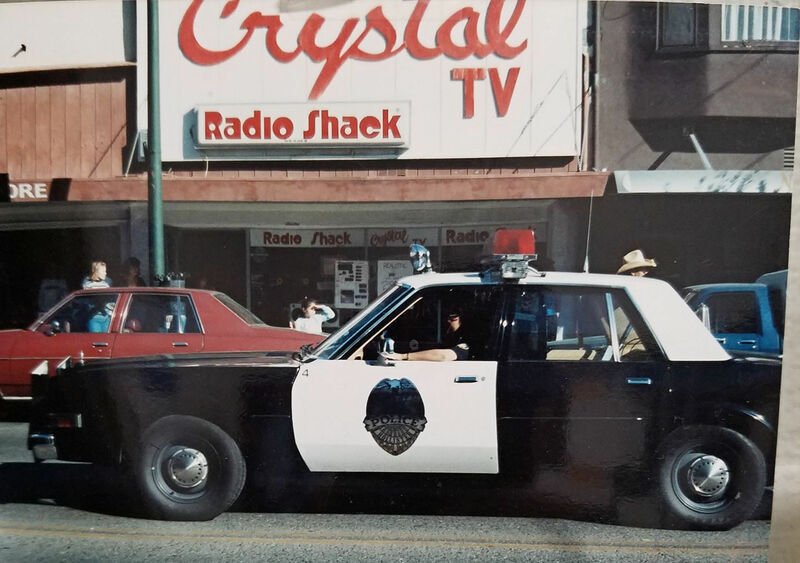 The story of the last Radio Shack in Silicon Valley starts in 1974 when Gilbert Perez opened the Crystal TV repair shop in Hollister. (That’s back when televisions were actually designed to be repairable.) Perez also sold television antennas, although they had to be mounted on 30-foot masts to receive TV signals all the way from San Francisco, about 100 miles away. When San Francisco’s Sutro Tower went up in 1971, consolidating all of the city’s television transmission antennas, reception got a lot better, says Perez. Then, around 1986, Perez bought a Radio Shack dealership and added it to his repair business. He moved his shop to downtown Hollister, tacked on a Radio Shack sign, and started to sell Radio Shack merchandise in his store. Here’s a photo of Crystal TV’s storefront from the late 1980s. Note the Radio Shack sign. It uses the funky, earlier Radio Shack logo font with the circles in the letters “R,” “a,” “d,” and “o.” That’s from back in Radio Shack’s Flavoradio days. Then, in 1991, an arsonist set a fire that burned down an entire city block of downtown Hollister. Six businesses, including Crystal TV, burned to the ground. 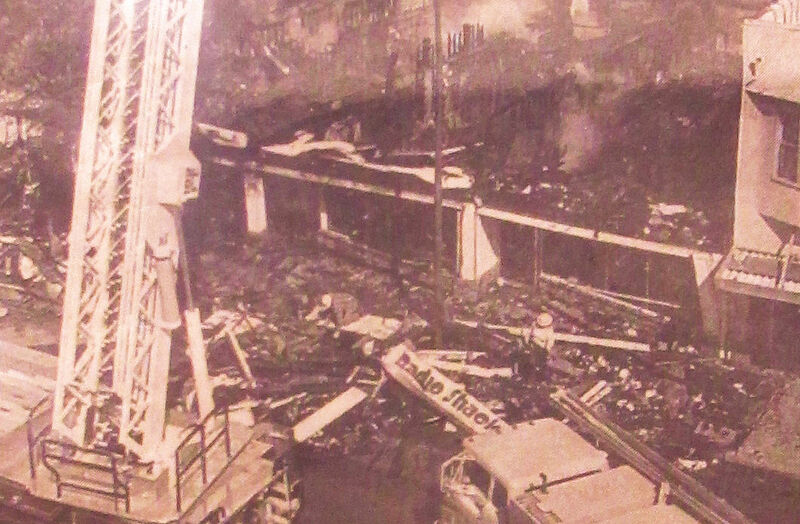 Here’s an image taken after the fire, showing what happened to Crystal TV’s Radio Shack sign. Things started to go downhill for the Radio Shack Corporation in 2012. (Note: the true name of the corporation was “RadioShack” but I’ve used “Radio Shack,” the store-signage form that most of us recognize, throughout this article.) From 2000 to 2011, Radio Shack spent $2.6 billion to repurchase its stock in an attempt to prop up its share price. That wasn’t a good sign, and by 2012, the company had stopped paying stock dividends to conserve cash. In April, 2012, Moody’s reduced its ratings on Radio Shack corporate bonds to junk status. In October, 2014, Radio Shack’s quarterly figures told a grim story: the company was losing $1.1 million per day. The New York Stock Exchange delisted Radio Shack on February 2, 2015, and RadioShack announced that it had filed for Chapter 11 bankruptcy protection on February 5, 2015. On March 31, 2015, a bankruptcy court approved an offer from General Wireless (an affiliate of Standard General formed specifically to operate Radio Shack stores) to purchase 1,743 RadioShack locations for $160 million. Radio Shack entered into a partnership with Sprint, which became a co-tenant at 1,435 RadioShack locations. On March 8, 2017, General Wireless announced Radio Shack’s second Chapter 11 bankruptcy. The company liquidated its inventory, supplies, and store fixtures, and it auctioned off old Radio Shack memorabilia. With all of these corporate trials and tribulations, it’s easy to forget that Radio Shack had been a huge innovator in electronics for many decades. The company was early to jump on the Citizen’s Band radio craze and cashed in big time after the release of the Burt Reynolds’ movie “Smokey and the Bandit.” At the peak of the CB craze, CB radio sales generated nearly 30% of Radio Shack’s revenue. Radio Shack introduced the successful line of fully assembled TRS-80 microcomputers in 1977, just two years after the Altair 8800, a computer you needed to solder together yourself, appeared in “Popular Electronics” magazine. Radio Shack introduced the TRS-80 Model 100 in 1983. It was a revolutionary computer that ran for 20 hours on AA batteries and had Microsoft Basic code stored in ROM written personally by Bill Gates. More than six million TRS-80 Model 100 machines were reportedly sold worldwide. Although the Model 100 was actually made by Kyocera, Radio Shack was so successful at building its own personal computers that it became an early contract manufacturer for many other PC brands. In addition, Radio Shack was also an early mobile phone vendor, selling its own brand of “luggable” lunchbox cellular phones starting as early as the mid 1980s. Note the wooden, painted, old-school Crystal TV sign above the open door. 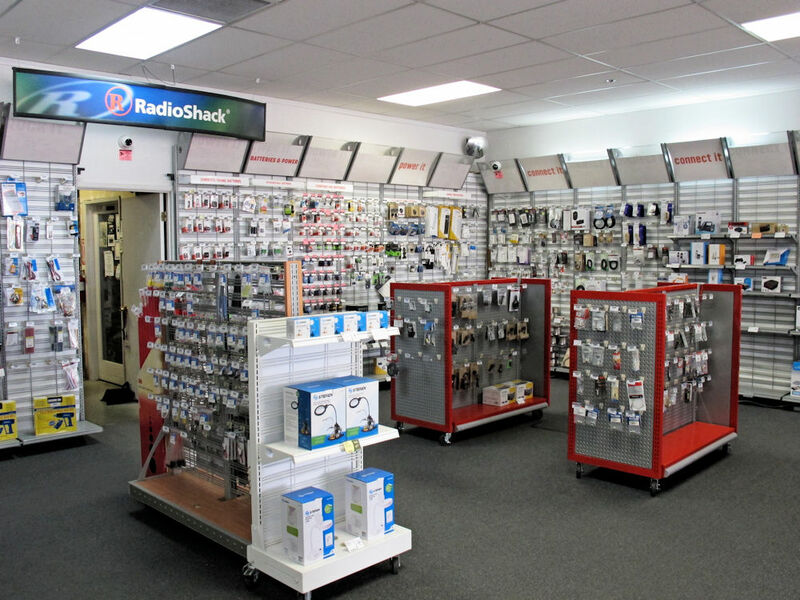 Walk through the door and you find… surprise, a Radio Shack! Now a very discerning, long-time Radio Shack customer will notice that not all of the components on those pegboards are gen-you-wine Radio Shack parts. The packaging’s wrong. And, indeed, Crystal TV has sourced many parts from other vendors as needed to continue providing Hollister and its surrounding environs with the electronics bits and bobs people continue to need. “We’re doing better every day,” the founder and original owner Perez told me on a telephone call. 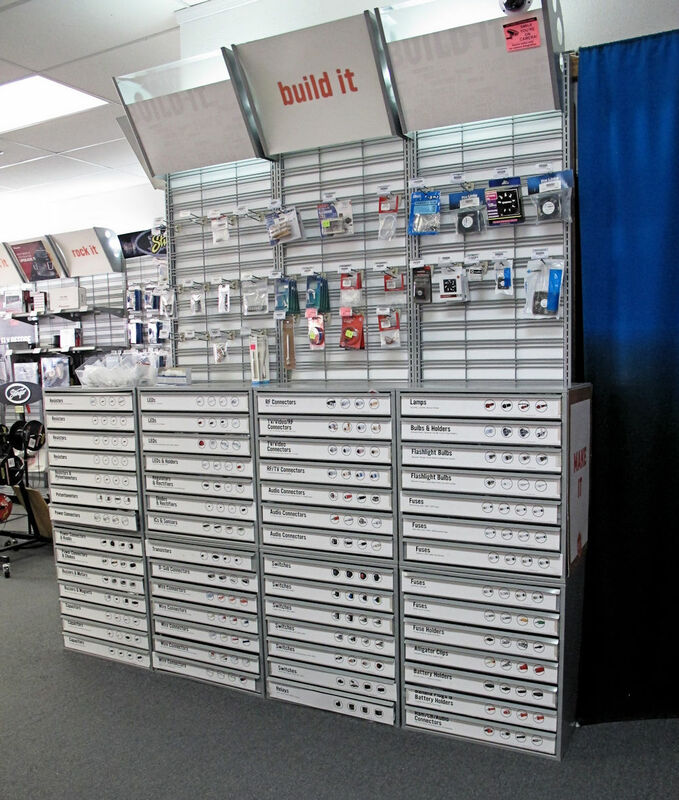 “We expect to be carrying more [Radio Shack] parts in the near future.” It seems that Radio Shack’s franchised dealer operations are growing and that the company is rebuilding its parts inventories. I had to travel only 50 miles (plus 50 miles for the return trip) to visit Crystal TV, but others are willing to drive many extra miles to get to the Hollister Radio Shack. Perez says his store gets constant inquiries about electronic components from all over central California, even from as far away as Sacramento. That’s about 150 miles away. 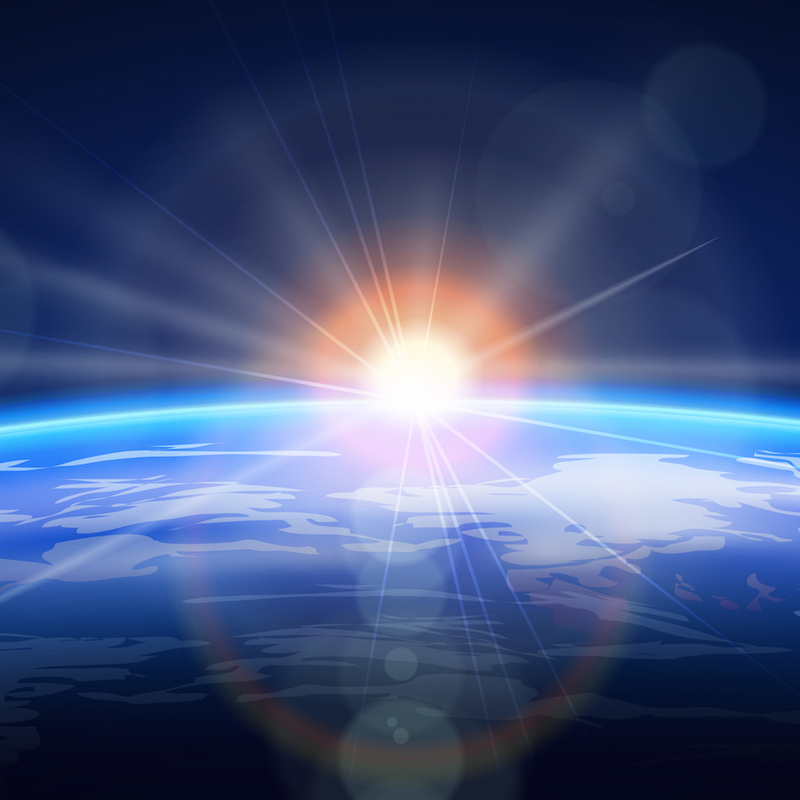 Would you travel 150 miles to go to the nearest Radio Shack? People do. “People want to deal with a local store” instead of ordering parts over the Internet, Claudia told me. However, after four decades, Perez felt it was time to retire. He’s sold Crystal TV to Oscar Rodriguez, who has a flourishing business in home theater installations. So Crystal TV is still solidly in the television business just as it was in 1974, with a side business of selling the electronics bits and pieces we all need every day to keep our personal technology running. Note: Radio Shack recently cut a deal with HobbyTown and has opened some “stores within a store,” which is a callback to Radio Shack’s hobbyist roots. One such store within a store is in Silicon Valley, in Sunnyvale. If you’d like for me to check it out, or if you’d like to describe your own relationship with Radio Shack, please leave a comment below.